All the feels without the fluff. Originally from Vancouver, Kate is a Toronto-based stand-up comedian, emcee and public speaker. Kate has performed across Canada, and recently became the first woman in its 9-year history to win the 2017 Toronto Comedy Brawl, a competition that began with over 400 comedians. Toronto native, Sara is a writer and stand-up comedian, having opened for comics such as Judah Friedlander, Beth Stelling, and Wendy Liebman. Sara’s writing has appeared in The Huffington Post, Cosmopolitan UK, Conde Nast Traveller UK, and regularly on her blog Shticky Situations, which hilariously examines her life and the world around her. Sara has also written for CBC Kids, truTV, Teletoon and more. 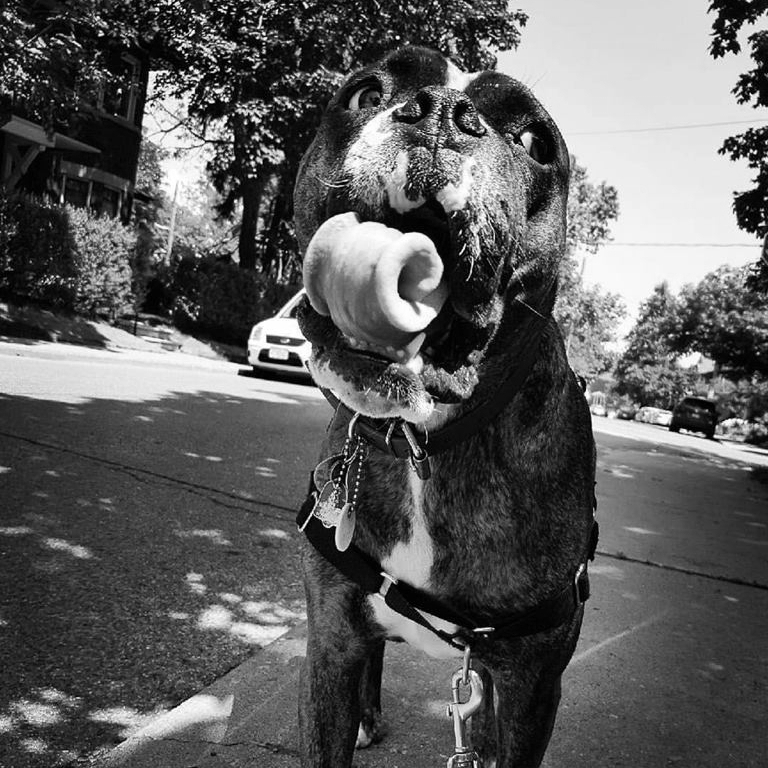 Opie aka Opie Bear aka Opie Jones is a 3 year old boxer bulldog who loves to snuggle, wrestle and stick his face into pillows. When he's not doing the aforementioned he's probably farting into the wind or eating kale. In the reverse order.